Satisfied customers were in the company's founder, as the supreme guiding principle Nawaz Tutakhiel in the founding of his company. 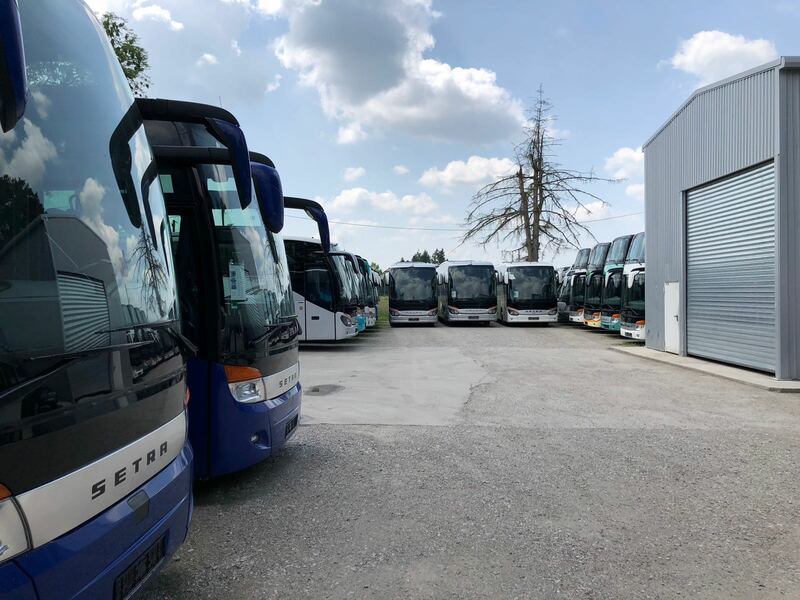 With experience and intuition, as well as the technical knowledge of the company's founder, the company buys and sells used buses at its headquarters in Munich. Over the years, extended its operations across Europe and now buses are bought and sold worldwide. In the meantime taken over by the sons of the founder, the medium-sized family-owned business employs 10 staff. In 1989, founded the company Nawaz Nawaz Tutakhiel Tutakhiel Import & Export. With experience for coaches of all levels and from many different manufacturers in Europe, the company in the trade, from minibuses to double decker understands. Mercedes-Benz, MAN, Neoplan, Setra, and Renault and are only a few brands that are ready for resale. Focused in the founding in 1989, by the upheaval in Germany, the demand for buses was suddenly increased greatly. In Germany, there were no longer two separate states. Travellers from the former East Germany wanted to finally see the world. The demand for travel by bus and cars was enormous. The need of brand new buses could be covered by the manufacturers in any way. Hence the idea of ? ?the founder Nawaz an omnibus trade open. What was in the passenger cars have long common practice, could also succeed in used buses. The success of the now 20-year-old company, which now operates worldwide, announced that idea right. Following in the footsteps of his father rose, and soon, with both sons in the company. Tahmass and Mumtas Tutakhiel. Upon successful graduation two sons made their training in his father's business. In 2006, the sons took over his father's company and run it successfully, for the purposes of the founder, continues. The customer-oriented company with a small, specialist team that advises clients on site and makes trial runs with the desired vehicle. We are a team with the customers all the important questions. Expertise, coupled with customer-friendliness are the basic premises of this successful run company. On our website is a part of the current listed vehicles that are currently for sale. All important details are given in the description, as well as photos with detailed views. The online service will match the current inventory and constantly updated. Our goal is not modified in compliance with relevant safety criteria, to establish ourselves among the leading competitors. Our motto, we are large enough to meet all your needs and small enough to be able to respond personally to you, our drive and motivation. Satisfied customers are the best advertisement for our company and in addition free of charge. Our online service will be maintained and is consistent with our current vehicle inventory.